Neon clouds have been in the vicinity of Earth for over a decade, caused by the charged and petro-fueled wafting tail of Nibiru. 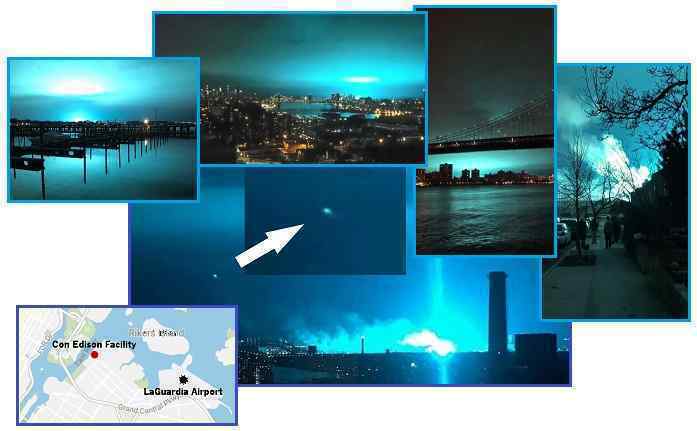 A pink cloud over London in 2008, a neon blue swirl over Norway in 2009, and a blue neon cloud over Miami in 2015 were captured on film. 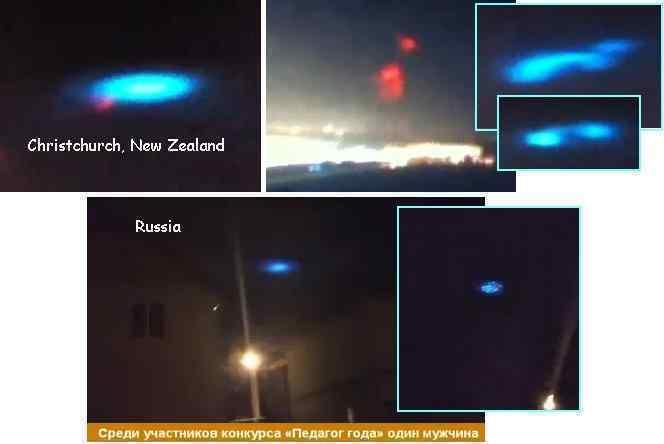 They have also appeared in Russia and New Zealand. So it should have been no surprise when one turned the skies over New York City a brilliant light blue one night. What was a surprise was the touchdown, a first, which caused transformers to blow. Perhaps it was the electronic screech from the ripping river outlets around New York City, which are being pulled apart by the bowing of the N American continent. A curious UFO was seen zipping around the light show too. 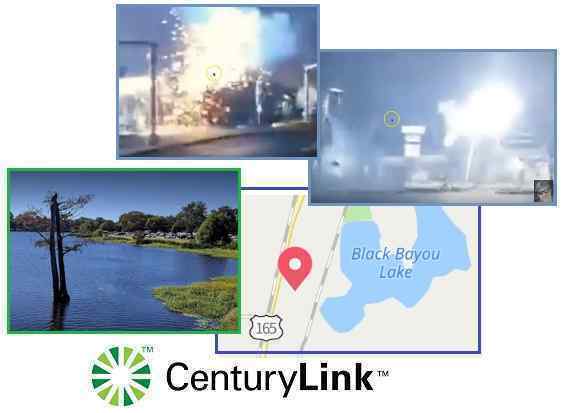 And almost simultaneously, on the same day, the soggy ground at Mobile, Louisiana had multiple transformer explosions, causing down time for Century Link across the USA. Of course, both incidents happened on the water’s edge, the CenturyLink headquarters virtually footed in a swamp! EMP loves grounding in the water, and with electronic screech calling to the charged tail of Nibiru, such arcing is bound to happen. Both EMP and electronic screech from compressed rock are on the increase, due to Nibiru’s approach. "Electrical Spectacle" witnessed by Thousands! Two Main events on same day 1100 miles apart. ZetaTalk Insight 12/31/2018: Of course there was more than a mere transformer arcing in New York City, to turn the sky a neon blue seen from miles around. This was a neon cloud, a charged cloud caused by the wafting tail of Nibiru. Such neon clouds have been seen around the world over the past decade, but normally do not come down to Earth, but when they do, any electrical apparatus in the vicinity should beware. The simultaneous outage across the US, caused by an electrical outage at the CenturyLink headquarters in Louisiana, was a result of the same EMP assault in N America. 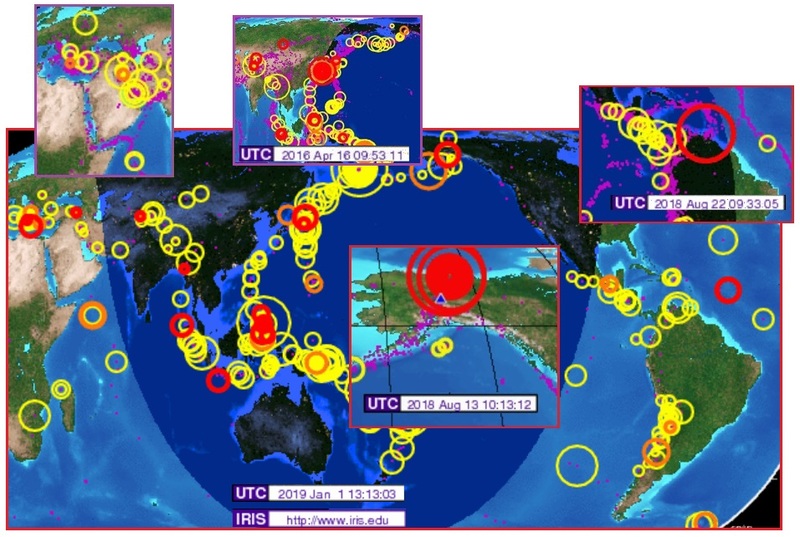 There has been a rise in earthquake magnitude and frequency, since Nibiru arrived in the inner Solar System in 2003, though the USGS has done its best to disguise that fact. By 2010 it was clear the USGS had a cover-up going, and by 2017 many of their techniques had been identified. Just ignore the USGS lies and listen to the critters! As has been long noted by many ancient cultures – Greek and Chinese cultures in particular – animals are sensitive to the threat of earthquakes. 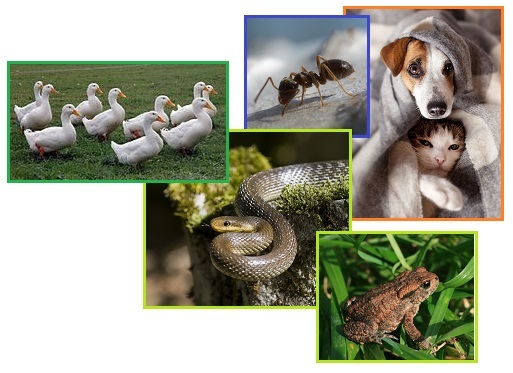 Pets leave home, snakes and ants escape their homes in the ground, and domesticated animals such as Peking Ducks become frantic. A three-year study of ants in Germany found that before an earthquake, the ants would all leave their mounds, even at night. Snakes have been believed to predict quakes since at least 373 B.C., when they were among the exodus of small animals from the Greek city of Kelike, before it was destroyed by a massive tsunami. Toads were also looked on as potential harbingers of the 2008 Sichuan quake in China. Chinese bloggers claimed thousands of toads swamped the streets of one village three days before the quake killed 2,000 people there. Catfish moving violently, chickens that stop laying eggs and bees leaving their hive in a panic have been reported. Countless pet owners claimed to have witnessed their cats and dogs acting strangely before the ground shook—barking or whining for no apparent reason, or showing signs of nervousness and restlessness. One theory is that wild and domestic creatures feel the Earth vibrate before humans. Other ideas suggest they detect electrical changes in the air or gas released from the Earth. Per the Zetas, the critters are listening to the electronic screech caused by tension in the rock which squeezes out air pockets so electricity can course through the water in the rocks without impediment. The air pockets are insulation, preventing electricity from flowing. This can also be detected on any radio in the vicinity, as static, and the physical distress reported by many on a GLP message board thread. The UK reports an increase in Tinnitus, ringing in the ear, but cannot make the connection. Due to the Eurasian Plate stretch, the UK is being pulled apart. My left ear was ringing and I felt nauseous every morning - for about two months - then we had an earthquake here at Newport Beach, Ca about two weeks ago. I was literally right under the epicentre. Next morning my ear ache was gone and so was my nausea. ZetaTalk Prediction 1/10/2015: We have consistently warned that electro-magnetic pulse, the arcing from the electronic screech in compressed rock to the charged tail of Planet X, will be on the increase. ZetaTalk Explanation 3/29/2014: We have often mentioned that the electronic screech prior to earthquakes is due to air pockets within the rock being compressed so water can touch all side, allowing electrons to flow. Apparently the USGS is not yet done denying the increase in plate stress and Earthquakes. To keep you from connecting the dots, they have recently erased evidence of the plethora of past quakes in certain areas, formerly shown by small purple dots on the USGS map. Suddenly, at some point in December, 2018, almost all of these purple dots disappeared! Or perhaps, being cleaned off the USGS databases, they never happened. But the cover-up over Nibiru struggles to deny its approach. How can the cover-up explain the increase in upper atmosphere lightning? The charged tail of Nibiru above, the electronic screech from distressed rock below. And in between? Lightning. The Zetas have predicted a massive lightning storm between the Earth and Nibiru during the hour of the Pole Shift, wherein lightning silently moves from the Earth to Nibiru, without flash or crackle as there is no oxygen or atmosphere between the planets. But at Nibiru, in its upper atmosphere, there will be a lightning show, and for the Earth there will be upper atmosphere trumpets, known as the Thunderbolts of the Gods, and odd plasma figures in the sky. ZetaTalk Prediction 7/15/1995: Static electricity in the atmosphere will not increase during the giant comet's approach, nor afterwards, but during the passage lightning will seem to be almost constant in some places. 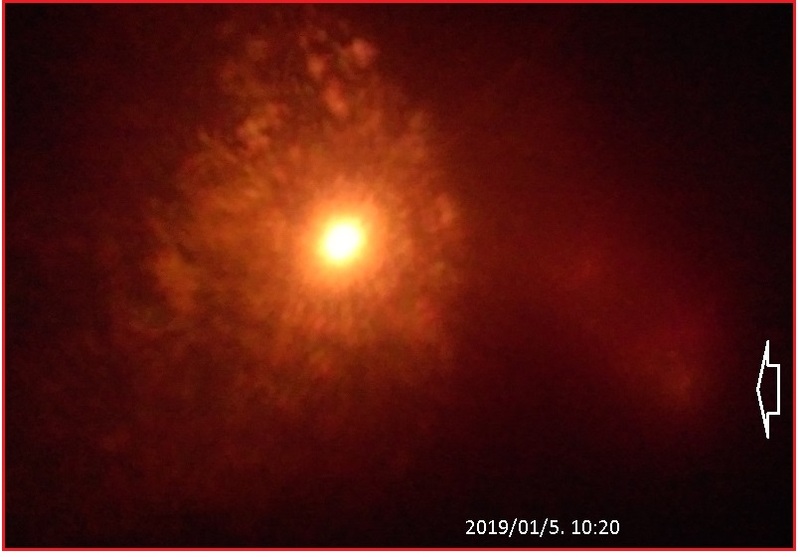 ZetaTalk Prediction 3/29/2010: Due to the extreme friction caused by the wafting charged tail of Nibiru, lightning discharge is humongous, with massive crackling discharge leaving the Earth's upper atmosphere. This creates voids in the upper atmosphere, which clap, causing vibration in the lower atmosphere where such vibration is interpreted by mankind as trumpets or horns. ZetaTalk Prediction 6/12/2010: We have stated that static electricity will be generated by the friction of the charged tail of Nibiru against the Earth during the last weeks, and that this will result in what the ancients described as trumpeting from the skies, a type of thunder when the lightning leaves the Earth's upper atmosphere on its way to Nibiru. Except for the point where it leaves the Earth's upper atmosphere, or the point where it arrives at Nibiru, this lightning moves silently and invisibly. But in the upper atmosphere of Earth would not take the form that traditional lightning passing from sky to Earth assumes. There, a sudden snaking down to Earth occurs, the pathway lit for a moment, followed by the thunderclap. What is the appearance from Earth? As these clever scientists have shown, a laboratory plasma discharge takes the appearance of ancient petroglyphs, worldwide. But might some increase in the static electricity in the upper atmosphere not arrive before the hour of the Pole Shift? 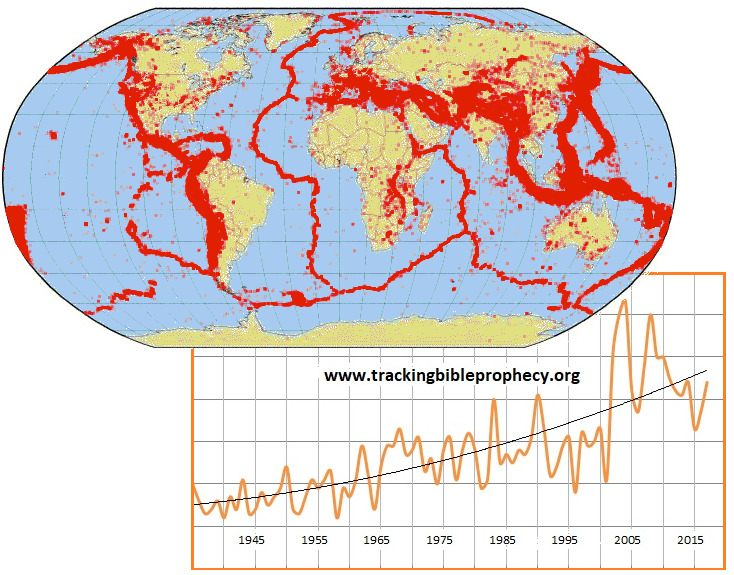 All other signs are on the increase – earthquakes, volcanic eruptions, the daily Earth wobble, migrating germs, and an increase in drought and deluge cycles. How would the common man know that upper atmosphere lightning was occurring? By Neutron spikes, as occurred at Russian’s Barentsburg Neutron Monitor station in the Arctic on Christmas Day. The Sun was quiet, and such Neutron spikes are known to occur during lightning. A free neutron—one that is not incorporated into a nucleus—is subject to radioactive decay of a type called beta decay. It breaks down into a proton, an electron, and an antineutrino; the half-life for this decay process is 614 seconds. Because it readily disintegrates in this manner, the neutron does not exist in nature in its free state, except among other highly energetic particles in cosmic rays. The neutron possesses a magnetic dipole moment—i.e., it behaves like a minutemagnet in ways that suggest that it is an entity of moving electric charges. Lightning strikes produce free neutrons, and we’re not sure how. Solar activity was very low throughout the period. No Earth-directed CMEs were observed this period. Forecast of Solar and Geomagnetic Activity 24 December - 19 January 2019. Solar activity is expected to be very low throughout the outlook period. Highlights of Solar and Geomagnetic Activity 24 - 30 December 2018. Solar activity was very low throughout the period. No Earth-directed CMEs were observed this period. ZetaTalk Explanation 12/31/2018: What would cause a burst of Neutrons to appear over one of Russia’s Arctic monitoring stations? This was not accompanied by a Gamma Ray burst from the Sun, nor by any other emissions from the Sun. NOAA had not issued an alert. Nor did the second Russian Arctic station record a rise in Neutrons. We have stated since the start of the ZetaTalk saga that the Pole Shift would be accompanied by upper atmosphere lightning. This lightning will travel from the Earth to Nibiru, invisible in space where there is no oxygen to create a flash, but cavemen observed this activity and recorded it on their cave walls. 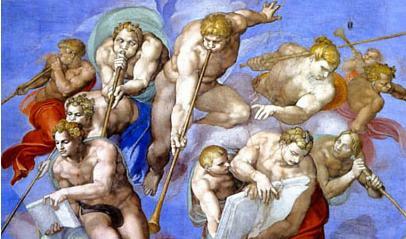 Thunderbolts of the Gods - trumpeting. Trumpeting has been heard when bodies of water vibrate, ie the Horns of Belarus and Jerusalem Trumpets on Rosh Hashanah, but might some upper atmosphere lightning begin to manifest ahead of the Last Weeks? 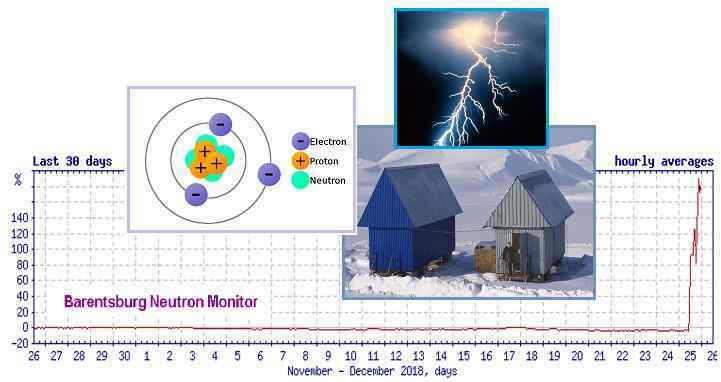 Neutrons are known to be generated by lightning, and the sudden surge at the Barentsburg station in the Arctic was indeed caused by a lightning storm above the Arctic. No trumpets were recorded, but we predict this will soon follow! Meanwhile, Nibiru draws ever closer, seen here just after New Year’s Day with its two main Moon Swirls to either side, like shoulder pads, blowing its massive tail to the left as it approaches. China landed its Chang’e-4 rover on the Dark Side of the Moon this past month, leaving many to salivate on what might be found there. The Dark Side cannot be seen from Earth by amateur astronomers, and NASA seemed remarkably disinterested in exploring there. China will be setting up a robotically controlled bio-lab there, to test viability on the side of the Moon least protected from the Sun’s rays and blasts from outer space. One can anticipate a manned Moon colony next. Weren’t there colonies of Service-to-Self aliens living there? The Zetas provide an update. A Chinese space probe successfully touched down on the far side of the moon hailing the event as a historic first and a major achievement for the country's space programme. The tasks of the Chang'e-4 include astronomical observation, surveying the moon's terrain, landform and mineral makeup, and measuring the neutron radiation and neutral atoms to study the environment of its far side. The probe also took six live species - cotton, rapeseed, potato, arabidopsis, fruit fly and yeast - to the lifeless environment to form a mini biosphere. 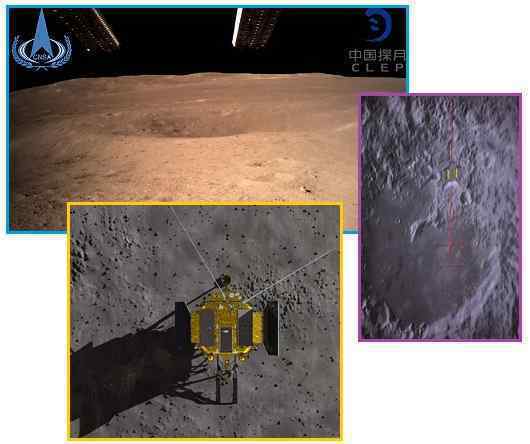 The Chang’e-4 lunar lander became the first space vehicle to touch down on the far side of the moon, where it began to explore terrain that had never before been reached. The mission also encompasses a biological experiment, to assess whether seeds can germinate and silkworm larvae can hatch and grow in a sealed container containing nutrients, water and air. 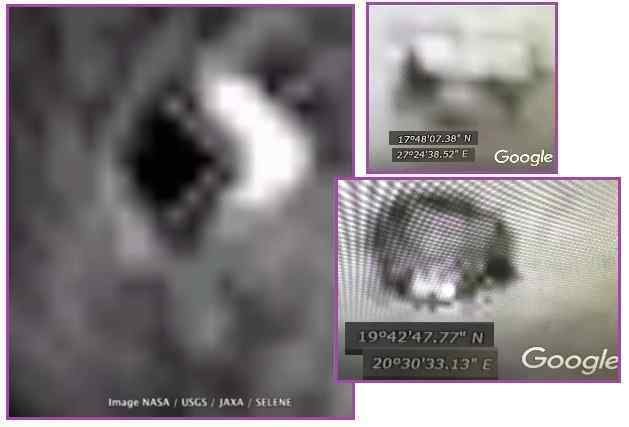 What is this Mystery Object Spotted on Google Moon? 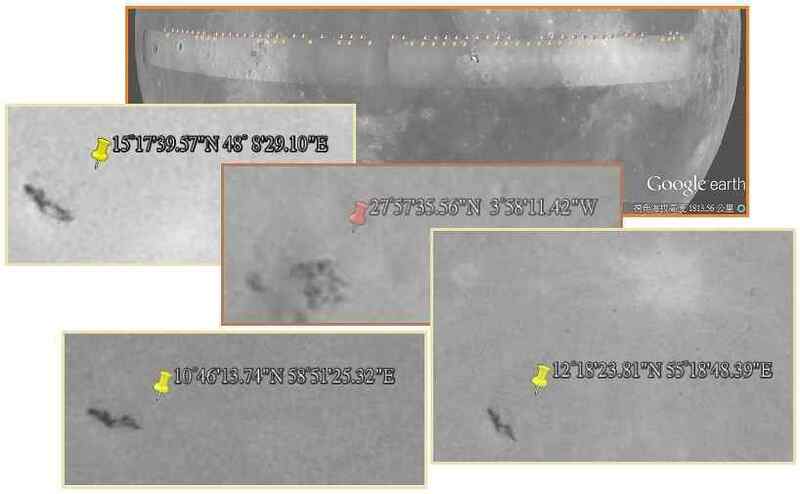 ZetaTalk Update 1/31/2019: The Dark Side of the Moon has remained unexplored by man because MJ12 was aware it was inhabited by aliens, hiding from view, and MJ12 wanted the alien presence denied. This was a dilemma for MJ12 during the Apollo missions, and thus they filmed some landings in a warehouse on Earth to be used in case the real photos could not be used. MJ12 closed down the Apollo missions for this reason. That the Annunaki had visited the Moon could not be denied.